Dark and Dreamy with C. C. Marks: Dystopian Giveaway Hop Happening Here! Dystopian Giveaway Hop Happening Here! Welcome! So glad you decided to stop here and have a little fun and hopefully get some good books to add to the TBR list. Feel free to have a look around and don't forget to enter to win one of three e-copies of the Mercy Series Boxset. 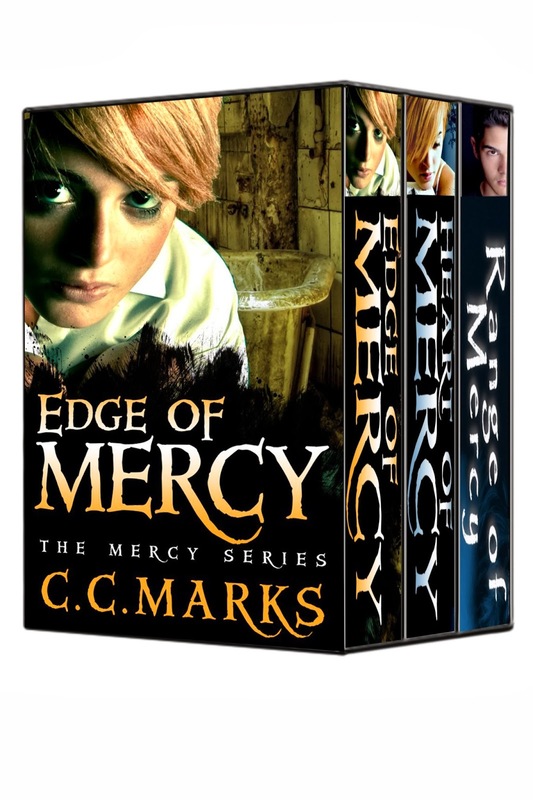 This includes the first two books in the Mercy Series, plus a bonus short story from another character's perspective. Filled with suspense, danger, and a strong heroine willing to take it all on, it's a series you won't want to put down. Thank you! Thank you! Thank you! I think the form is fixed. If anyone else has trouble, please let me know. And thank you for the book ideas (the first one sounds like some interesting characters). Both are greatly appreciated. I did not have any trouble at all. You got it! Hmmm...do you read paranormal romance? The Charley Davidson series by Darynda Jones is fabulous! Just keeps getting better and better. I highly recommend Yesterday's Gone by Sean Platt and David Wright, and Wool by Hugh Howey! Hi again! I did subscribe to your newsletter. I really liked Ruin & Rising by Leigh Bardugo. Thanks for giveaway!! The newsletter sign up worked!!! I just finished Oryx and Crake by Margaret Atwood and it's awesome. The Witch With No Name by Kim Harrison was fantastic. Thanks for the great giveaway! I am a pretty eclectic reader, so my interests are all over the place LOL I recently read a fun book titled Waking Up Dead by Margo Bond Colins. It had some giggles, a bit of supernatural, and mayhem :) Thank you for participating in this fun hop. I subscribed. I just started reading again so I don't have any favorites. One book I really liked was The Clan of the Cave Bear. I just finished "Anyone?" by Angela Scott, amazing book!